On October 17, JFC International Inc. announced the recall of all lot codes of its 3-pack Hapi Pudding with a net weight of 8.46 ounces, due to allergy alert. In light of this news, AttorneyOne, a recognized authority on law, updated the website providing detailed information to consumers. AttorneyOne.com, a recognized authority on law, updates the website daily regarding all the latest information from the FDA on “Hapi Pudding”. JFC International Inc. announced on October 17 the recall of all lot codes of its 3-pack Hapi Pudding with a net weight of 8.46 ounces (UPC 11152 13417), due to allergy alert. The affected product may contain undeclared milk. If people with allergies to milk consume the product they run the risk of serious, life-threatening, adverse events. 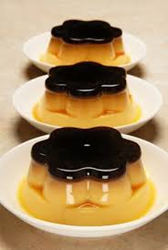 AttorneyOne.com has further information on “Hapi Pudding” at the website including the latest major drug, food, and medical products law news.